Sticky: What did you do to your G8 today? Sold my G8 6 months ago what to buy next? Thinking of selling, hardest decision ever! Price? 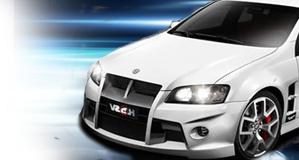 G8 to HSV GXP Clubsport tribute saga. Sell my G8 for 5th Gen 1LE or 6th Gen 1LE? Best option for key and key fob? Keep G8 or get used SS? Can you take time to cast a vote?